Whether you are running a household or a business it can be surprising how much energy is taken up by the most mundane aspect, that of providing light in our properties. We use light-bulbs sometimes for hours a day and it can form up to 40% of the household utility bills. So it is in everyone’s interest to help to reduce the amount of energy used by the lighting in their properties. The first and most obvious step is to ensure that you manage your lighting most effectively. Ensure that you only switch lights on when you need them. Remember to switch the lights off when you stop using a room. Lighting unused areas is costing you money. If you are running a business you might want to consider utilising occupancy sensors for areas like toilets or store rooms, these will switch on when motion and body heat is detected in an area giving light while someone is in the room. After the person leaves the lights will switch back off. This isn’t standard in the domestic household, but you should definitely get into the habit of switching lights off. After all, it is costing you money. Where possible you should always try to use energy efficient light bulbs. It is worth pointing out that the previous generations of incandescent bulbs are being phased out by government edict, soon you will only be able to buy low energy bulbs and low energy light fittings. Why were incandescent bulbs so bad? Well, put simply they are extremely inefficient. They tend to convert about 90% of the power supplied to them into heat and only 10 per cent into visible light. That’s a lot of wasted energy. When they first came out energy efficient light bulbs were predominantly of the Compact Fluorescent Type (CFL) which received a lot of negative press due to seemingly low light levels compared to the previous incandescent bulbs and perceptions of not having a long life span. Advances in technology since have improved the efficiency of the bulbs but the truth is that the bulbs are not designed for ‘immediate’ operational. Instead they take time to build up to a bright light level and are designed for long term usage while switched on, not switched off and on continuously over a short time frame. That is what shortens the bulbs life. 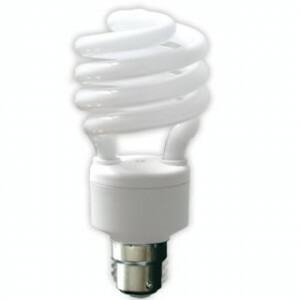 In addition to the new generation of Compact Fluorescent Light-bulbs there are other newer types of lighting that is also rated as being extremely energy efficient. These include Light Emitting Diodes (LEDs) and certain types of Halogen light bulbs, which can further save 30% electricity over the standard Halogen bulb. With standard incandescent bulbs being withdrawn over the next few years and the rise in technology for various new types it is definitely the right time to start looking at changing to the new generation of light bulbs. The concerns over the efficiencies of the earliest energy efficient light bulbs have been addressed. Now you can make substantial savings by incorporating basic changes to manage your lighting and to take advantage of the energy efficient bulbs on the market. Recent figures showed that by changing all the bulbs in a house it can save £45 per year or £670 over the course of the lifetime of the bulbs. That’s a big saving! « Commercial EPCs – What Are They?